Auto Driveaway, a company based in Lombard, Ill., that supplies drivers to move vehicles for corporations and fleet management firms, is buying J&J Driveaway and J&J Freight Brokers, companies that provide drivers to move heavy-duty trucks. The deal, announced Jan. 16, follows the December purchase of Drivers On Call. The Akron, Ohio, business specializes in moving vehicles in local markets for car rental firms and other businesses, according to William Glastris, a managing partner with the private equity investment firm Evanston Partners, which has owned Auto Driveaway since 2014. Both deals represent an opportunity for Auto Driveaway to expand and diversify, company officials told Transport Topics. “The J&J team has built a terrific business with a lot of positive momentum and a number of exciting growth opportunities,” Auto Driveaway CEO Rodney Ruth said. A larger pool of drivers also will make it easier for the company to find new loads for drivers once they make vehicle deliveries, officials noted. To help manage that growth, the company has hired Matthew Salm to serve as chief operating officer of Auto Driveaway and J&J Driveaway. Salm is a former senior vice president of strategic alliances and sourcing for Element Fleet Management in Sparks, Md. Also, the company said it will retain two key members of the J&J Driveaway management team as part owners of the enterprise. One is Crystal O’Dwyer, who co-founded the business with her husband, John, in 1993. The other is Vice President Kelly Rolfe. 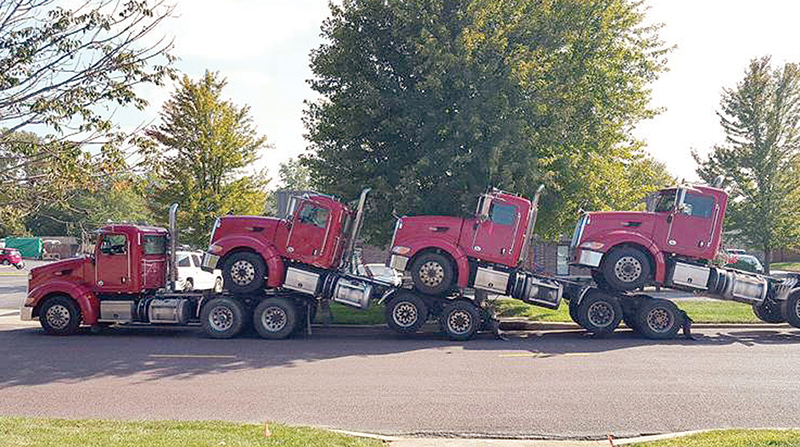 J&J Driveaway, based in Overland Park, Kan., employs between 150 and 160 licensed drivers to move Classes 7-8 trucks and other mobile assets from original equipment manufacturers, corporations, dealerships and buyers of new and used heavy-duty trucks. The company handles between 8,000 and 10,000 moves a year for about 500 customers. Auto Driveaway, which moves approximately 32,000 vehicles a year, was established in 1952 and operates out of 40 locations, of which 23 are operated by independent franchise owners. In recent years, according to Ruth, Auto Driveaway has been buying locations from franchise owners wanting to sell and now the company operates 17 corporate offices. Ruth, who joined Auto Driveaway in 2006, said the business has grown every year since then and even survived the collapse of new car sales during the Great Recession from 2007 to 2009. Ruth declined to disclose annual revenue for Auto Driveaway, but he believes the company is the largest player in the driveaway sector in terms of locations and second largest in terms of the number of vehicles moved each year. Ruth said the company is committed to providing the best service and has plans to deploy software to provide greater visibility for its customers. Dickinson Fleet Services Purchases Highway Express Trailer Repair Co.